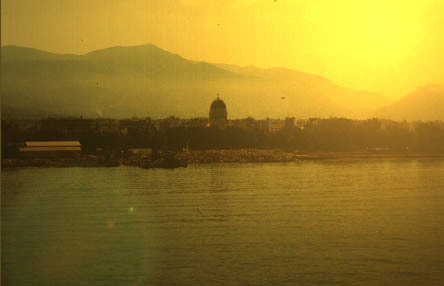 Patras is the main port on the Peloponese from the Ionian islands and Italy . It sees hundreds if not thousands of travelers come through each day. However, most of them do not stay because there is no real reason to. 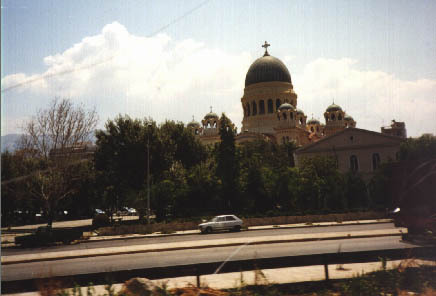 The only main sight is the Greek Orthodox Church. However, this town is an important cog in many peoples journey since it is here that passengers disembarking from the islands/Italy ferry�s must either catch a train, or bus to venture into the Peloponese or go to Athens. Since I have spent 8 hours of my life on two separate trips I thought I would include a couple photos.